Matthew Sweet looks at how you set about composing music for a video game and visits composer Stephen Baysted to discover some of the unique techniques the medium demands. Exactly how do you set about composing music for a video game? 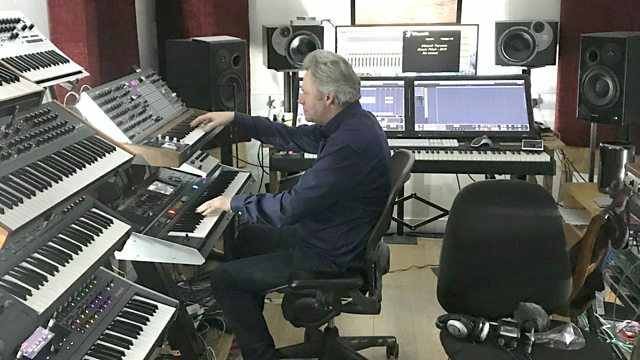 As part of Radio 3 and 6Music's exploration of video game music - "High Scores" - Matthew Sweet visits the studio of composer Stephen Baysted, who is presently engaged with major Hollywood gaming franchise - to discover some of the unique composing techniques that the medium demands. Matthew also features a selection of music from some ear-grabbing contemporary gaming scores including those for the remarkably popular Final Fantasy, God of War, Assassin's Creed, Civilisation, Skyrim, and Call of Duty franchises. Final Fantasy VII: Original Soundtrack. Orchestra: London Session Orchestra. Choir: London Voices. Choir: Schola Cantorum. Choir: City Of Prague Philharmonic Choir. Assassin's Creed Origins - The Soundtrack. Orchestra: Studio Orchestra. Choir: スタジオコーラス. Sogno di Volare (Civilization VI Main Theme) - Single. Performer: Jesper Kyd. Performer: Brian Trifon. Assassin's Creed II: The Original Game Soundtrack. Orchestra: WDR Radio Orchestra, Cologne. Conductor: Arnie Roth. Singer: Elin Manahan Thomas. Orchestra: Studio Orchestra. Choir: Metro Voices. Everybody's Gone To The Rapture (Music composed by Jessica Curry). The Elder Scrolls V: Skyrim (Original Game Soundtrack). Call Of Duty: Modern Warfare 3 (Soundtrack).